I would think nobody replied, because they're not sure of the ID. Can you post a clear photo? Is this gecko always pale or does he color up at times? Even if no one can ID it, it's still important for him to get calcium with D3 and multivitamins. I prefer and use Zoo Med's supplements. Can you get Zoo Med's Repti Calcium with D3? Lightly dust it on all his crickets @ 1 feeding per week. Probably it will also be good to get Zoo Med's Reptivite multivitamins without D3. Can he climb walls or is it more like leopard gecko? 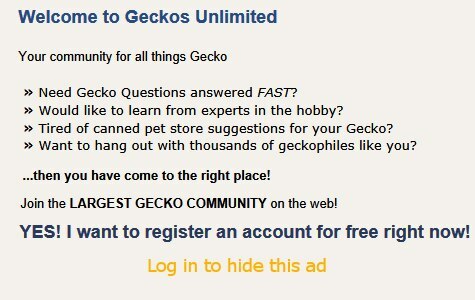 Is it not just a kind of house gecko? Looks like a house gecko. Do you live in Florida? Are you keeping this guy? Glad to hear he is eating well, and yes, the calcium is important. the dust does that mean he only gets dusted crickets once a week with all the calicum and d3? does he need to be put outside for the sunlight? Found this info, but will defer your questions to someone with more experience than me! thats him!!!! that photo on the website is totally him. thank you!! !